Lately, baby showers are my favorite of projects! 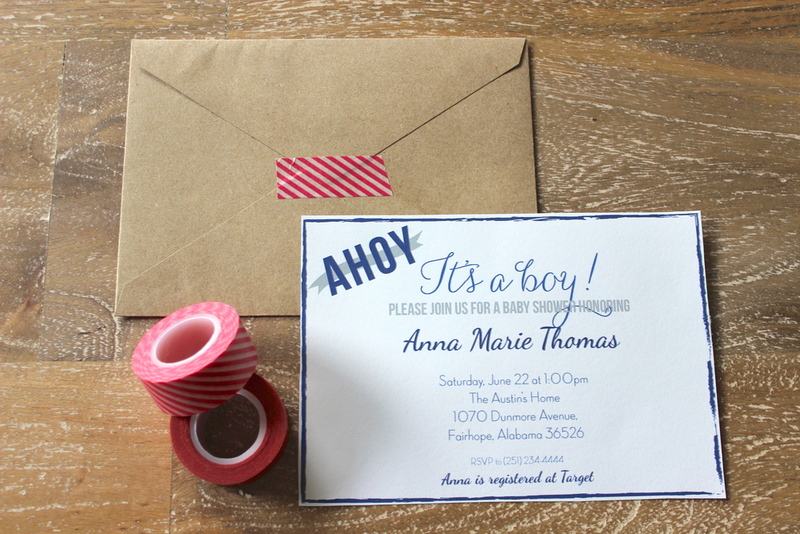 One friend asked me to make a banner for a nautical themed baby shower she was hosting and it got me looking for some creative inspiration. Although I am just a beginner with Adobe Illustrator, I absolutely love it! Teaching myself has been really fun, as well as really frustrating. I just added this fun, printable invitation to my Etsy Shop! I love this theme way too much! 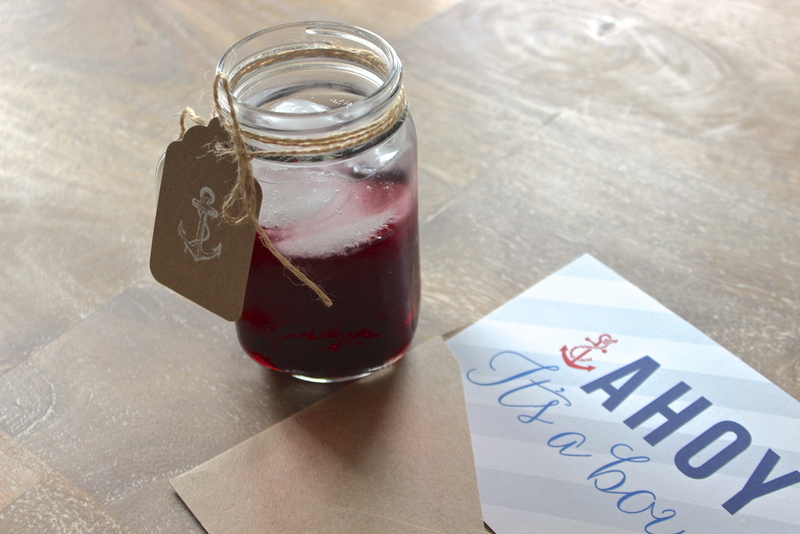 A nautical baby shower is great because most baby showers have almost all adult guests. A helpful tip: keeping the theme baby & adult friendly really helps with the planning! 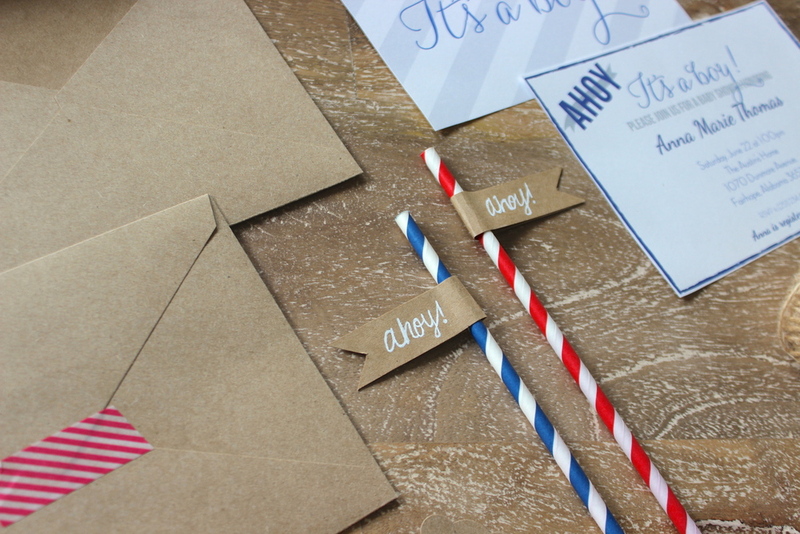 I absolutely love kraft paper and it goes great with navy, red and white. Kraft paper is typically affordable as well. The best part? 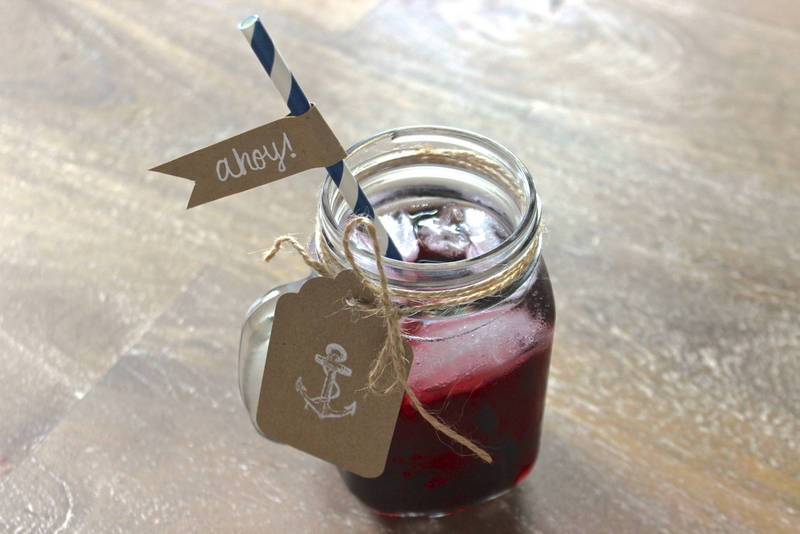 Fun party details! I had a few items on hand (surprise, surprise!) 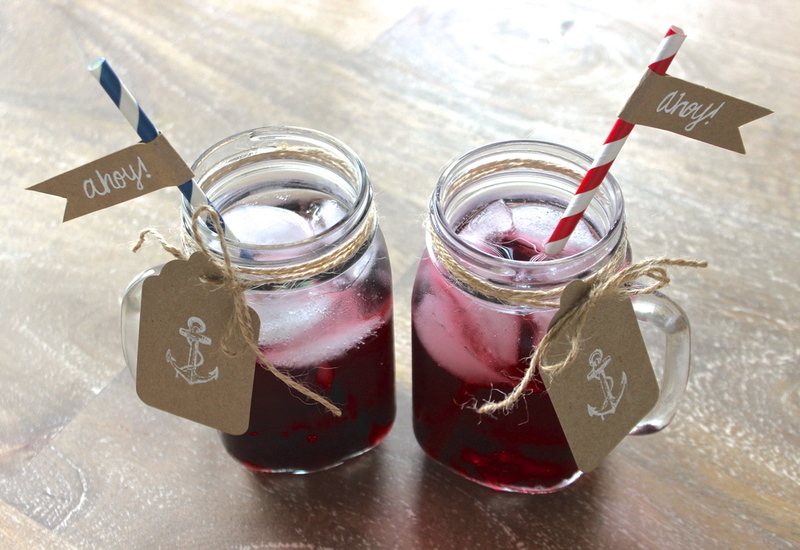 to give you inspiration for this themed party.